« Screening of “The Uncondemned” – Q&A and hosted reception afterwards. According to the McGregor-Smith Review – Race in the Workplace, the potential benefit for the UK economy from full representation of BAME individuals across the labour market is estimated to be £24 billion a year, representing 1.3% GDP. Yet only 1 in 16 top management positions are held by a BAME person. Successful businesses recognise the benefits that a more inclusive workforce can bring through diverse skills, talent and experiences. However, a seismic shift is required in the legal sector to unlock BAME talent. 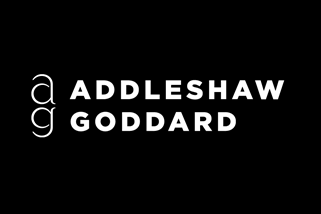 Given the huge impact and opportunities for the legal services sector, business and the UK as a whole, Addleshaw Goddard and an esteemed BAME panel, have pleasure in inviting you to attend ‘It’s ok to talk about race!’ panel discussion. This event will provide an excellent platform to hear from some leading BAME players in the legal services sector; debate and discuss strategies which the sector should adopt to ensure diversity and BAME inclusion and share positive experiences and tips for success. The event will provide a great networking opportunity for individuals looking to embark on a career in law. This event will be incredibly popular and places will be allocated on a first come, first serve basis. We hope you will be able to join us for what will be a practical and informative session!